Do you have furniture that has been in the family for years but doesn’t quite match your style anymore? Just because a certain piece won’t fit in your decor, doesn’t mean it has lost any sentimental value. 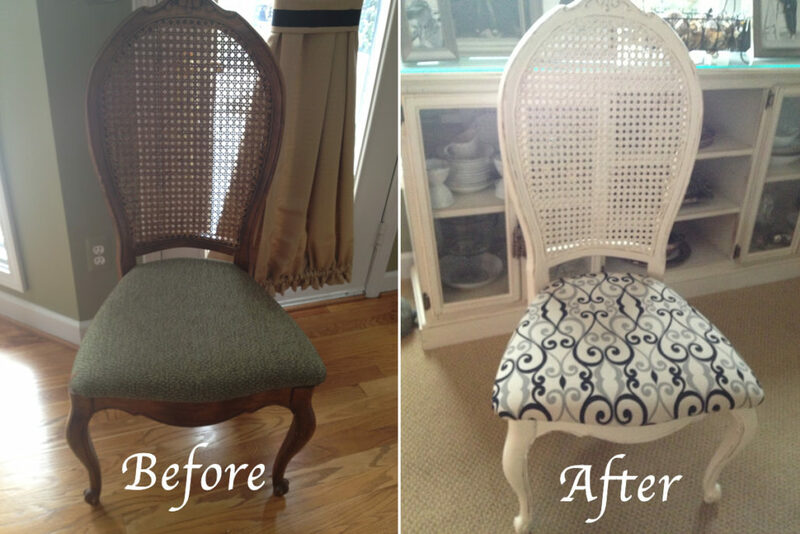 Instead of throwing a piece of antique furniture away that has a special place in your heart, why not give it a makeover? It’s a win-win for your home, your heart and the environment as you’ve put one less thing in a landfill. Many of our furniture pieces have a story behind them or have been in the family for several years. Here are a few examples of how we transformed antique pieces into new treasures to be enjoyed. Pictured below is a really nice, solid wood Thomasville dresser from the 80’s that we recently revived. Our client’s daughter is moving to Indiana for college and was in need of a bedroom set to take with her. 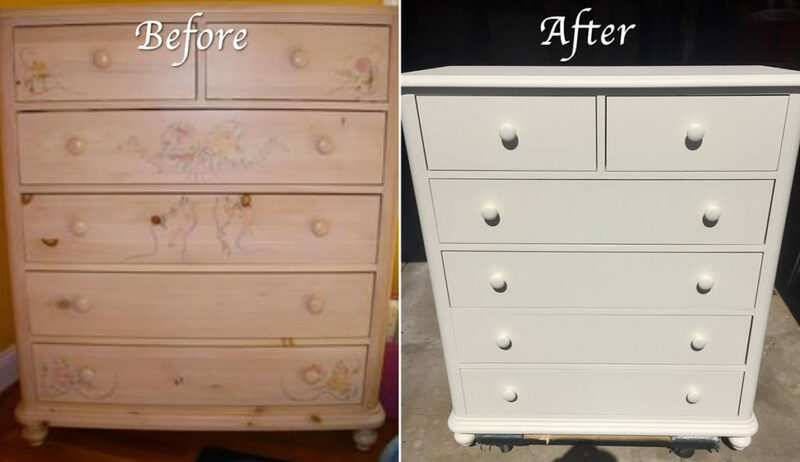 So we stripped and painted this dresser to match their daughter’s style today. Here is another project where we restored a set of 6 chairs. Our client didn’t want to part with the dining room chairs her daughters grew up in but the chairs were dated and no longer matched her decor. We gave the chairs a makeover by repainting and reupholstering so now these sentimental pieces can stay in the home and out of a landfill. 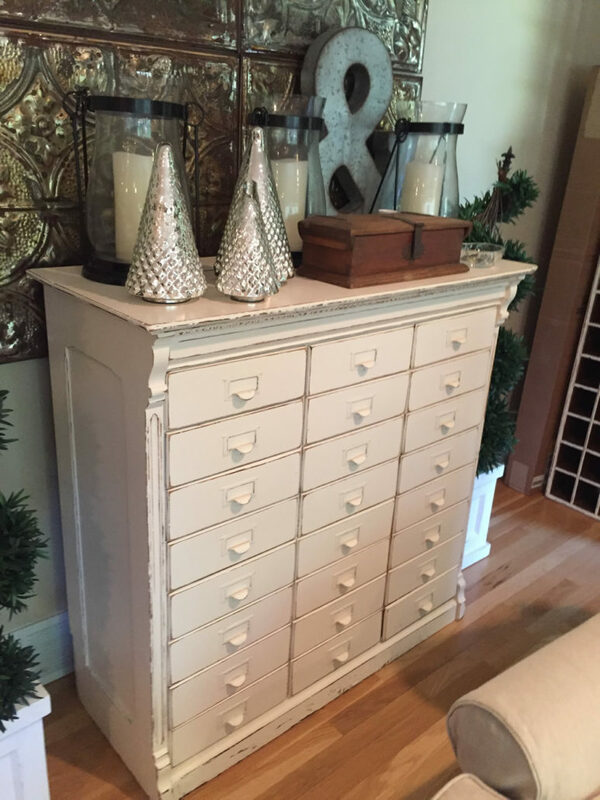 Our Client Lisa had this old cabinet repainted and now she uses it to store all her craft supplies. 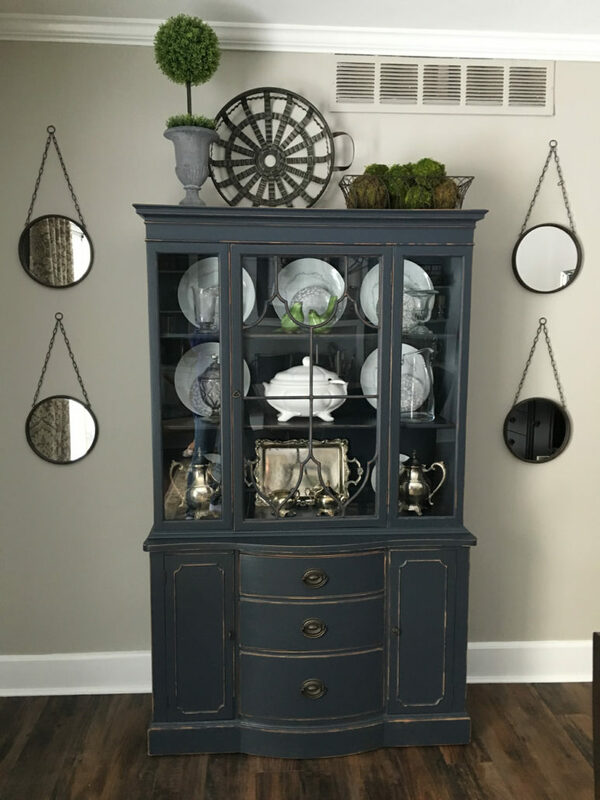 Here is a photo of our client’s China cabinet that we stripped and repainted. All Around the House Interiors is located in Downtown Romeo, Michigan. We welcome custom orders of antique furniture painting and have several hand painted furniture pieces available in our shop. If you have any older pieces that need reviving, please contact the shop to learn more about our custom services. We can also come to your home to paint cabinets, vanities and other fixtures.